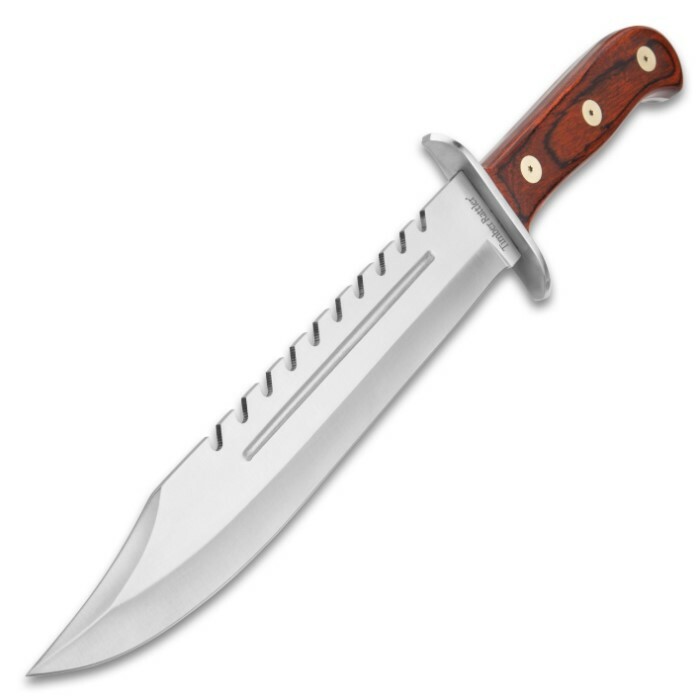 Timber Rattler Sawback Mountain Bowie Knife With Sheath - Stainless Steel Blade, Full-Tang, Pakkawood Handle - Length 16 1/2” | BUDK.com - Knives & Swords At The Lowest Prices! 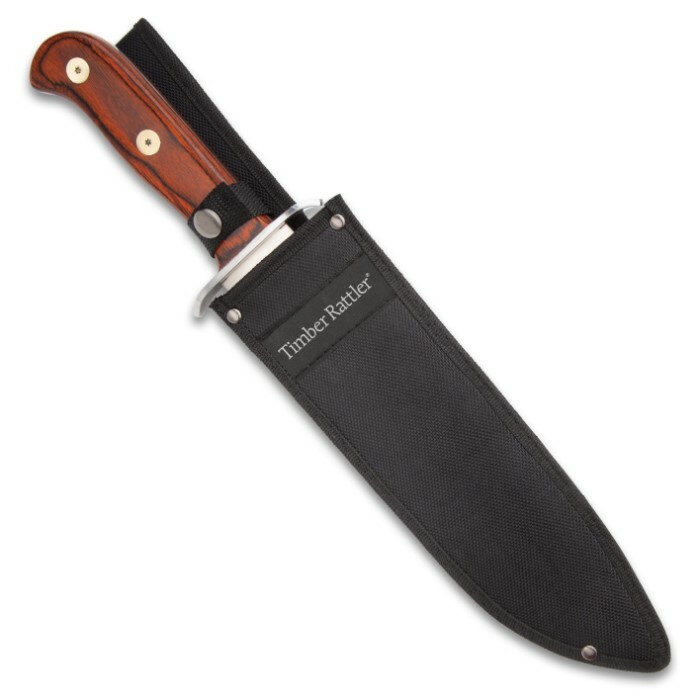 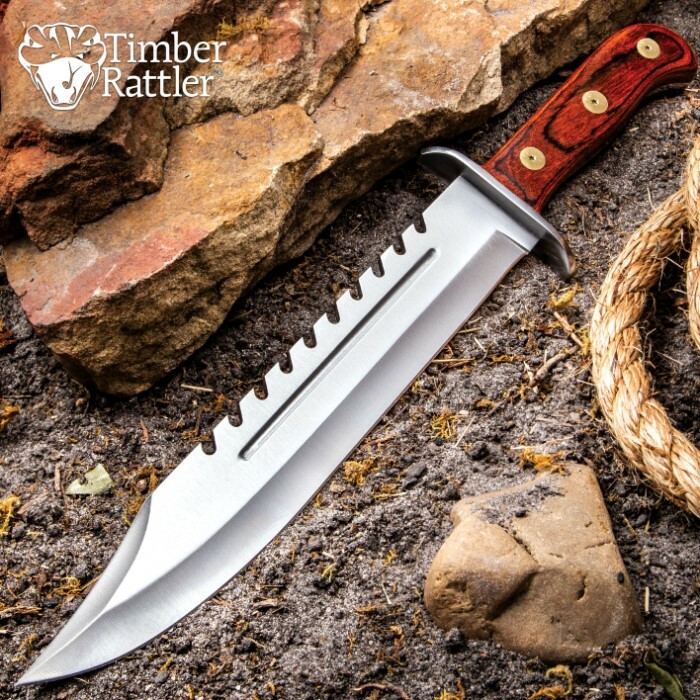 The Sawback Mountain Bowie Knife from Timber Rattler is a giant amongst its peers in size and strength, giving you the power that you need to chop and slice your way through those untamed wilds. 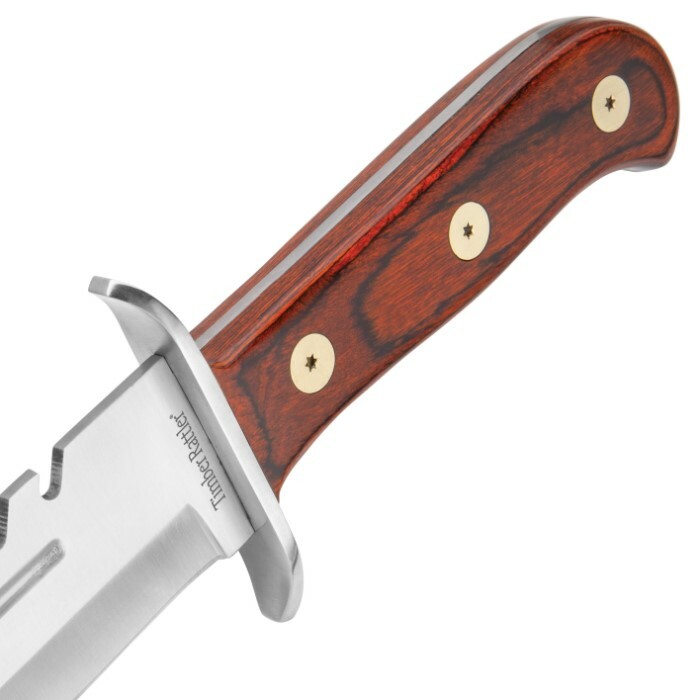 It has a sharp full-tang, 10 3/4” stainless steel clip point blade, which features a sawback spine and a blood groove. 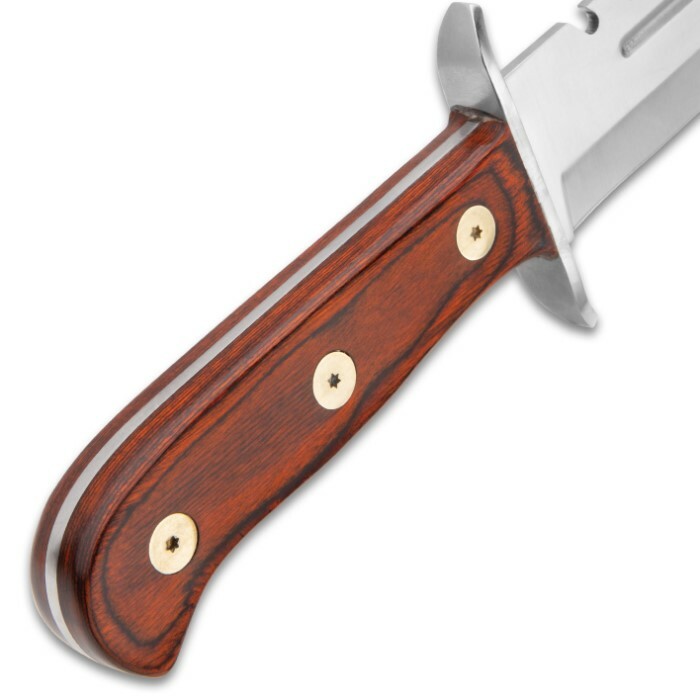 The reddish-brown pakkawood handle scales are secured to the tang by three hefty brass bolts and the guard is stainless steel. 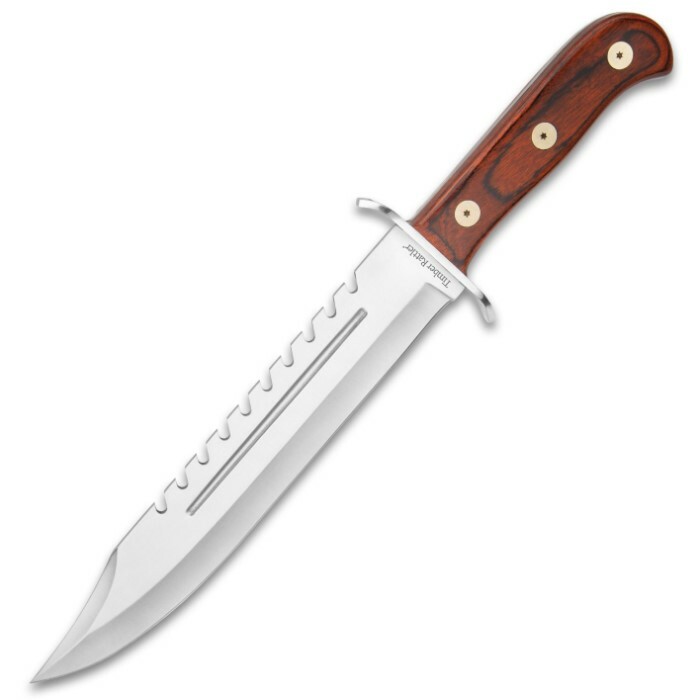 The enormous 16 1/2” bowie knife can be easily carried at your side in its tough, nylon belt sheath with snap closure.